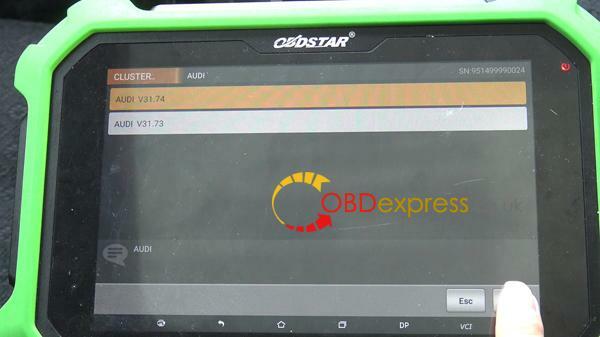 [Done] 2014 Audi A3 MQB odometer correction via OBD with OBDSTAR DP Plus. 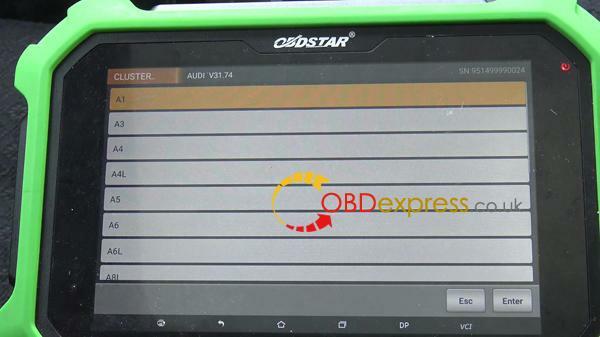 This post comes with the step by step procedure. 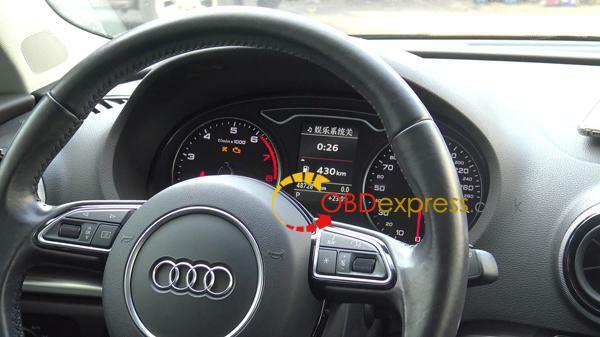 2014 Audi A3 with MQB. 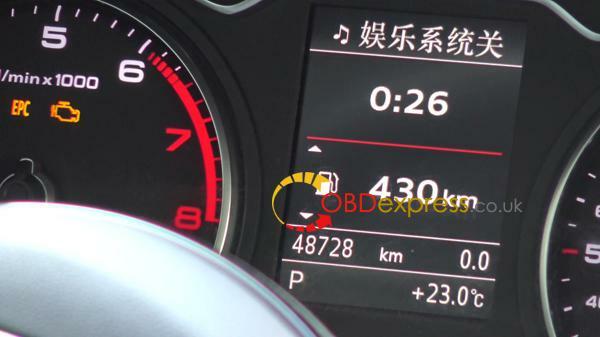 Current value: 48728KM on the dashboard. 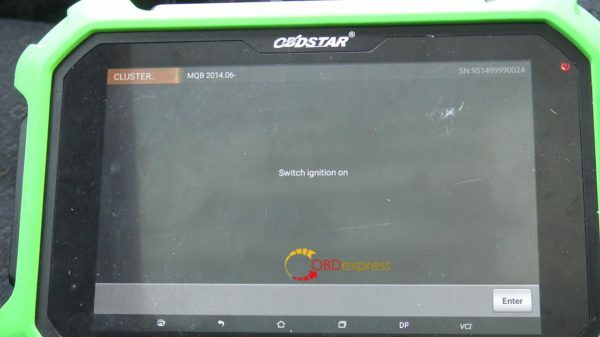 Plug OBDSTAR key master DP Plus to the OBD port of Audi A3, boot the machine, tap ” Immobilizer”, then “Audi”, newest “Audi V31.74”. Read the message “Only MQB dashboard of Continental and VDO supported”. Confirm the current mileage is 48728KM. 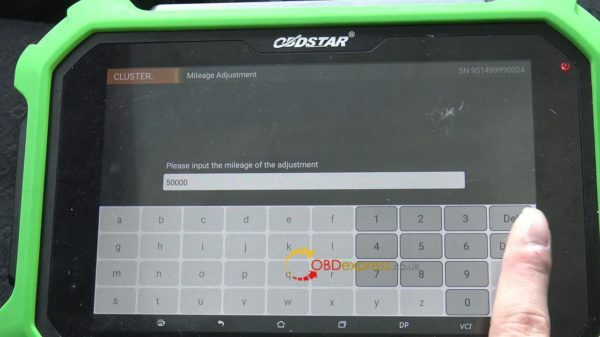 Have 50000KM on the dashboard. 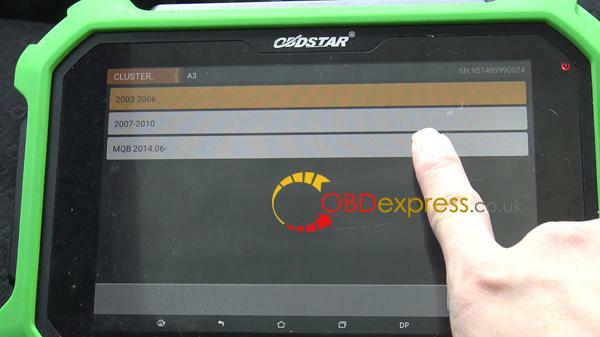 Don’t you think it is so easy to adjust mileage for 2014 Audi A3 with OBDSTAR DP Plus.